Want to get an email when we start taking orders for 7 grain? Sign up for our mailing list. 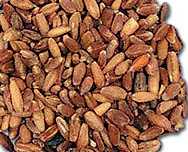 What is 7 Grain Mix and how do you use it? 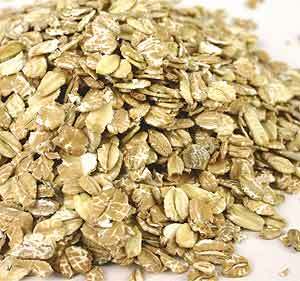 7 Grain mix is a combination of hard wheat, soft wheat, triticale, rye, oats, pearled barley and spelt. 7 grain mix can be used whole in recipes like slow cooker oatmeal (substituting 7 grain for a portion of the whole oats), ground to make flour, or roll them yourself to make a nutritious blend for granolas or hot cereal. Grind 7 grain mix in a grain mill and add up to a cup of the 7 grain flour in place of wheat flour in your favorite bread recipe to make a hearty multigrain bread. Easily add a variety of grains to your famiy’s diet by substituting 7 grain cereal in place of part of the oats in classic recipes, like oatmeal raisin cookies, pancakes or waffles. Or cook them up as a breakfast cereal and serve dried fruits and nuts. The 7 grain mix we offer is non-GMO and certified chemical free (which is similar to organic). You can read about the difference between certified chemical free and certified organic grains on our wheat faq’s page. 7 Grain Mix is available in 25 pound bags and 45 pound sealed pails. Sealed pails will keep your grains fresh for a minimum of five years as long as the seal is unbroken. Once opened, pails of 7 grain mix must be stored in a cool, dry place and used within a year or so. If you’d like to receive a notification when we start taking orders for 7 grain, sign up for our emails.